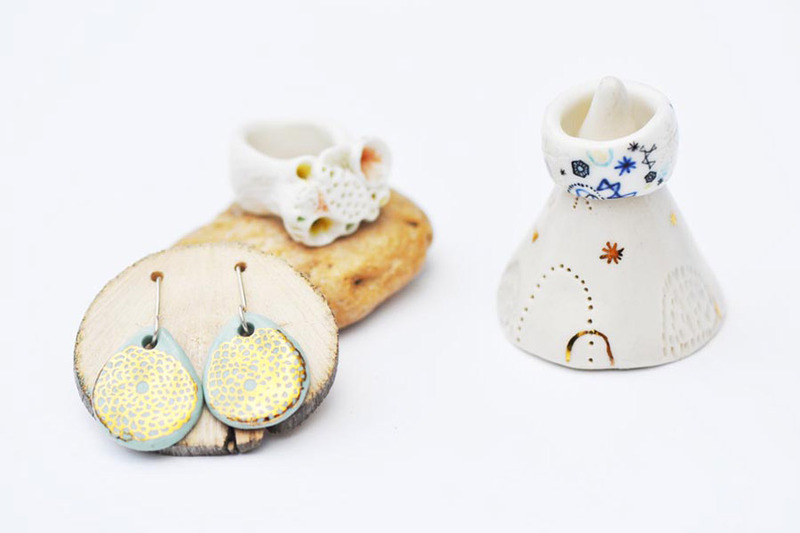 What we love about Katherine Wheeler’s ceramic creations is that they beautifully blur the line between art and jewellery. Her fine art background is apparent through her work, as each of her pieces are truly unique. 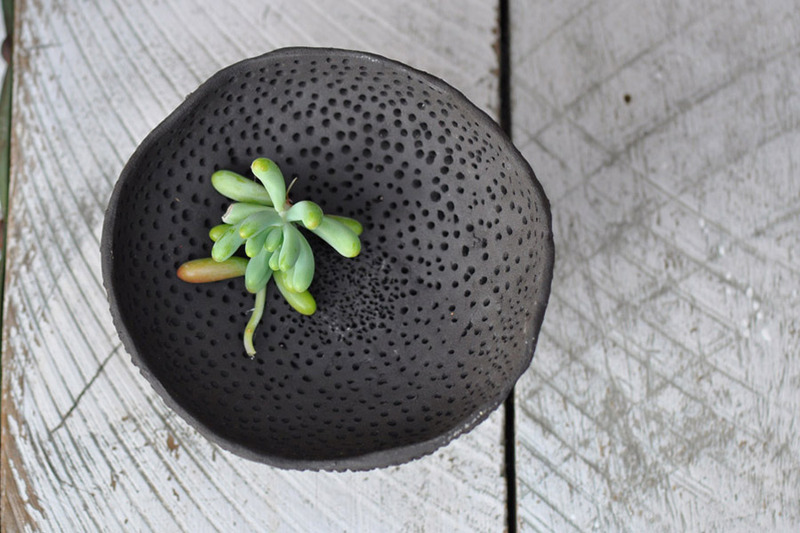 Read on to discover more about Katherine practice, and experience her work in person at our Sydney market next month. I have always been artistic, and have had my dad’s pottery in the back yard since I was a little kid. I studied a Diploma of Visual Arts followed by a Bachelor of Fine Art (gold and silver smithing) at RMIT. 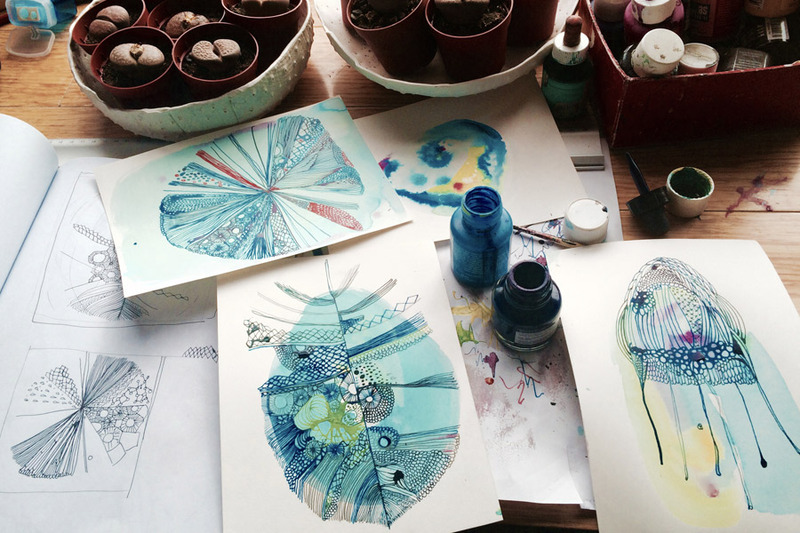 The drawings, jewellery and homewares that I make now have years of experimenting and exhibition work behind them that I draw from. I have now kind of merged my artistic disciplines to suit the way I want to express my ideas. 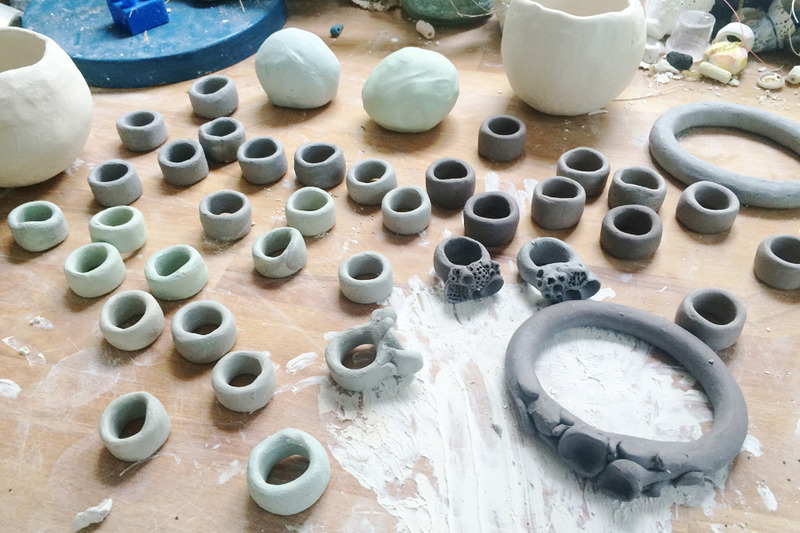 I love being able to make one of a kind wearable art pieces or homewares, that are imbued with personality and the marks of the maker, from start to finish in my home studio. This might sound a bit cliché, but stay true to your original ideas and yourself. Don’t look around too much as it can be quite daunting. And get some great product shots taken. Tell us something exciting that you have planned for Katherine Wheeler in the next 12 months. In the next 12 months I am planning on developing one of my products (the thread and porcelain vessels) into lamps and light shades. This is something that has been on the list for a while, and I think this year is the time. 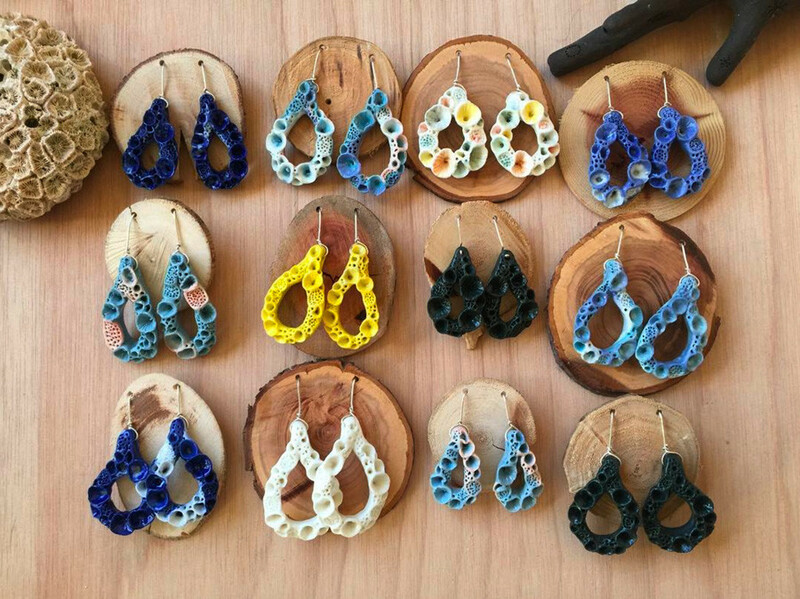 Also I’m pretty excited to work on a few collaborative pieces with Hanna from Nanna Woo Handmade, that will be ready in time for the Brisbane AW16 Finders Keepers. Ok – if I can have two? It would be the trusty bamboo skewer and my kiln. 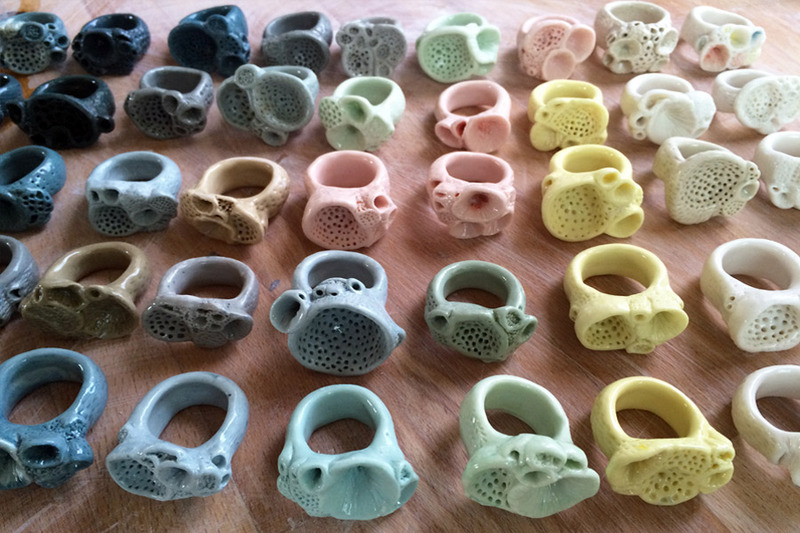 My favourite products are my “Rock Coral” Porcelain rings. I just love making and wearing them, and coming up with new colours and designs, no matter how big and crazy. I think they are a great overall representation of my brand. I also love watching people try them ALL on to find perfect fit and colour. I have only watched the porcelain pots and statue till now. But thanks to you I can see this magic in Jewellery. Lovely piece of craft..! 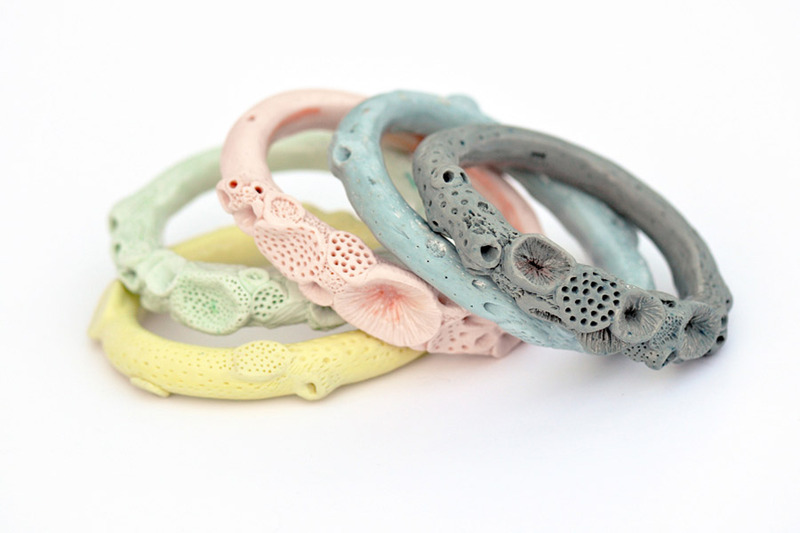 A beautiful unique design, love the rock coral bangles!